Hope you all are enjoying the summer vacations! So here I am with another review for all of you. 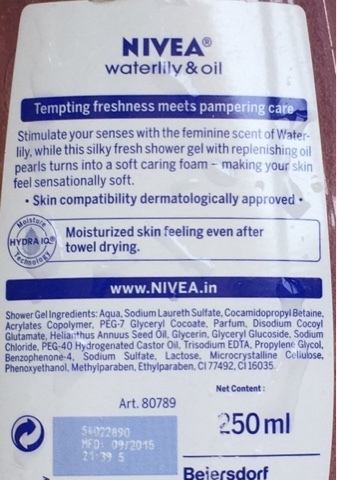 This time it is a shower gel from Nivea, one of my favorite brands . Packaging - It comes in a plastic pink tinted bottle with a white Flip open cap ,Sturdy enough to be carried in your gym bag without any fear of dripping or spilling .The packaging is definitely attractive . 1. Affordable and easily available everywhere as well as online. 2. Sturdy, travel friendly packaging. 3. 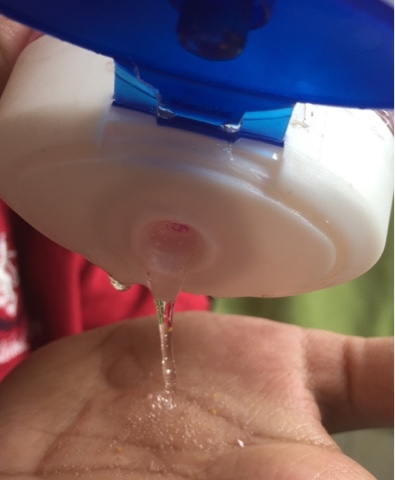 Contains tiny pink drops of oil which are very soft. 4. Lathers easily. It has a runny consistency so it is easy to take it out and work with it . 5. Rinses off easily too. 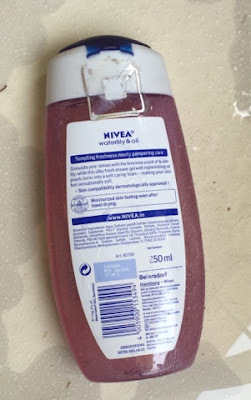 With most moisturizing shower gels ,I have this complaint that they do not rinse off easily and the skin feels soapy even after rinsing off .This is not the case with Nivea Waterlily & Oil Shower Gel . 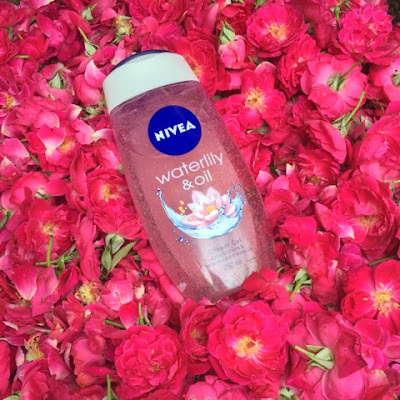 6.Beautiful but mild Waterlily fragrance .I hate strong fragrances as they give me a headache .This one is lovely and mild ,does not last long after the shower which is good for me . 7. Definitely leaves my skin very soft and supple without feeling slippery or soapy . 1. The only negative could be that the fragrance does not last on and on .But every good thing has to end! 2. No other added benefits like exfoliating etc. FINAL VERDICT - I love it - period. I rate it a 4.8/5! I will be definitely re-using it unless my skin starts needing something more. I found this flavor rose bubble bath and totally fell in love with this brand. Its awesome.